SIRANE’S opening-up down under – with an expansion into Australia. 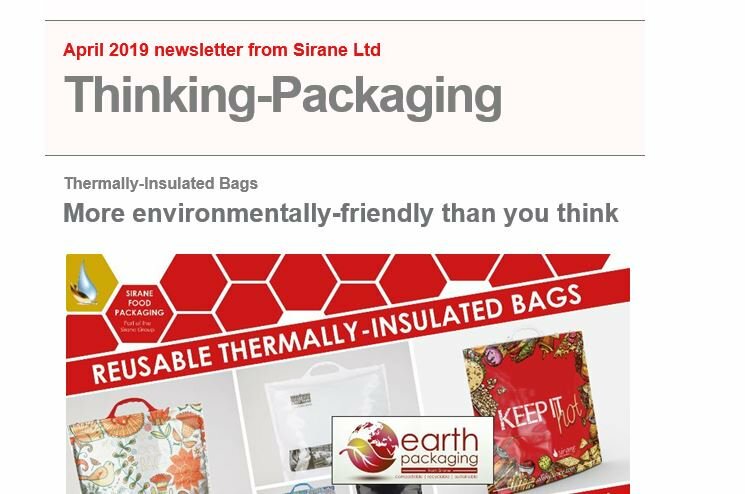 The new year will see the launch of Sirane Australia, as we look to take our food packaging technologies to new markets on the other side of the world. Simon Balderson, Sirane Group MD, said: “We have been looking at Australia for a while now, and the time seems right. We’ve a strong team in place, and they are already starting to generate some serious interest in Sirane. We have additional overseas operations in South Africa, Poland, Mexico and Russia – and it is our Sirane Southern Africa team who are spearheading the project. Stacey Loader and Polly Duffee - directors of Sirane Southern Africa - will cover Melbourne, Queensland, Tasmania and the Northern Territories, while a new member of the team, Nathan Balderson, will cover South Australia and NSW. Stacey Loader said: “Sirane Australia is a project two years in the making, and we’re very excited now it is finally happening. It’s a great country, and great people, and we’re keen to really get going and show off Sirane’s range. Sirane Australia, which will be based in Melbourne, will exhibit at AusPack in March – a first exhibition and a chance for the food industry to meet our team. Simon Balderson added: “We anticipate - and indeed already have - a lot of interest in Australia in our various compostable and plastic-free packaging solutions, as eco-friendly packaging is important there, just as it is here in the UK. We’ve also launched our Earth Packaging range – a range of packaging solutions which are all either compostable, sustainable or 100% recyclable. The Earth Packaging range includes absorbent pads, bags, pouches and packaging films. Sirane Australia will also have access to products from Sirane’s other divisions, most notably our horticultural products and medical/healthcare ‘Enaris’ range. These ranges include products such as compostable plant pots, absorbent flower pouches, anti-slip absorbent floor mats, 95 kPa specimen transport bags and more. AusPack takes place in Melbourne from March 26-29 – find our stand at A226. For more information on Sirane Australia, contact either Stacey Loader on stacey.loader@sirane.com or Polly Duffee on polly.duffee@sirane.com. Prior to the Melbourne opening, they can be contacted in South Africa on 0027 21 556 2949.